There is hardly a pet that wouldn’t be thrilled when it is allowed to play on the grass. Dogs, cats, they all love to roll on the grass; it is a free space for these pets to have fun while under the watch of their owners. But what many people don’t realize is that natural grass might not be perfect for the pets. That’s why you should contact the best artificial pet turf installation company in San Diego. While there might be unforeseen dangers lurking in the grass that might harm your pets, they also tend to destroy the grass making the space look untidy. This is why many homeowners now use artificial pet turf to provide the space pets love to play. 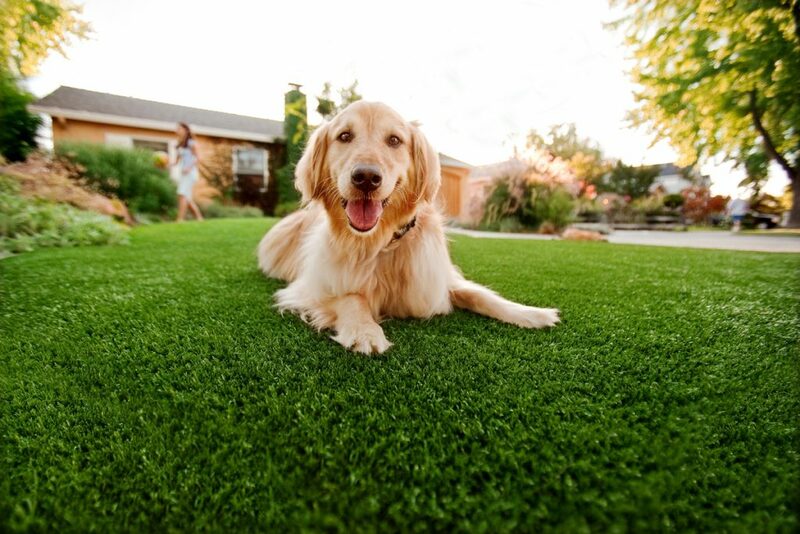 We have developed special artificial grass samples that have no adverse effects on pets. These are fake grass which can be installed in your space and you wouldn’t know the difference. Your pets will love the space too. There is also a drainage system which channels water away from the grass areas even during the rains, leaving a conducive space for your pets to play. The fake grass needs very minimal maintenance this saves you a lot of stress. Now you can spend more time with your pets in that space without watching out for digging or destruction of your plants etc. You will notice that in the case of natural grass, there will be depressions on the surface that will cause water to gather in puddles leaving a mess. Your pets might also turn the place into their toilet. When pets run into wet natural grass areas, they will definitely mess up the interior parts of your home except you wash their paws and how often do you want to do that? Our company has stocked only the best quality artificial grass. We use our well trained and experienced staff to install the grass at any location. Now you can watch your pets play outdoors on the grass without holding your breath in anticipation of the clean up after the pets are done. Dogs love to dig; they dig huge holes in your lawns ruining the design and the grass. This will not happen with artificial turfs. They are beautiful like well-cultivated grass, but they are also protected from digging even with the most determined pets. There can be no way to tell if some substances in the natural grass lawns could harm your pets but the artificial turfs we sell are free from harmful chemicals or allergens. You do not need to fumigate after installation. We have provided a safe grass surface for your pets to have a delightful time. This also applies to synthetic playground turf, where your children will have a safe surface to play on. Now your pets and children will have safe spaces to play on without the need to worry about harmful chemicals or allergens.